New media company Splashpress Media, the company behind 901am.com, has announced the acquisition of five premier blogs from Bloggy Network LLC. Along with this acquisition, Splashpress Media has also announced that David Peralty, Bloggy Network’s Director of Communications, is now joining the company as Head of Marketing. David has extensive experience in the new media industry, and looks forward to leading the charge in building up the Splashpress Media brand. â€¢ Blogging Pro – Blogging Pro regularly features news, themes and plugins for blogging applications in a straightforward, no-nonsense manner. The site regularly discusses a wide array of blogging-related topics, from personal blogging, to blog monetization, to the technical aspects of blogging. â€¢ Forever Geek – Forever Geek is a blog written for geeks by a group of geeks who each have their own passions and interests. Forever Geek provides geeks with links to interesting news, sites and reviews online without the usual clutter of other geek-oriented sites. â€¢ Celebrific – Talking about celebrities is what Celebrific is all about. Featuring a “hot woman (or man) of the day” every day, and a weekly “Celebrific lowdown” summary of happenings every week, as well as regular postings and photos of stars. Celebrific is sure to satisfy anyone’s celebrity fix. â€¢ Filmsy – Authored by true film buffs, Filmsy reviews the latest box office and disc releases, with honest to goodness commentary. Reviews and commentary are both on new movies and classics from the past ages of cinema. â€¢ bFeedMe – bFeedMe aims to satisfy readers’ hunger for information about food, whether they’re tips on the latest great restaurants, delicious recipes, or anything about food in general. The acquisition brings in tens of thousands of visitors every day, along with tens of thousands of existing feed subscribers, increasing Slashpress Media’s reach into the blogosphere. Splashpress Media has been looking for some time to establish an entertainment network in its portfolio and is also currently launching Erati, a new TV blog, and relaunching a Hollywood Blog and a blog on Celebrity Chefs. Splashpress Media, owned and operated by Mark Saunders, delivers some of the top blogs and blogging services in the industry, including the Blog Herald, 901am, Performancing, Tubetorial and Eaton Web, amongst others, and considers the newly-acquired sites as making its network wider and deeper. Today, we launch the redesigned 901am.com designed by Thord Daniel Hedengren. “I was going for a fresh and easy to read kind of look, sober yet not stale nor boring, fitting new media. I really wanted to push forward the content and make it more accessible to the readers as well,” the designer said about the new look of 901am.com. We are pleased to announce the launch of 901am.com Japanese version in partnership with Ioix. This is not a simple case of running 901am through any automatic translation websites. 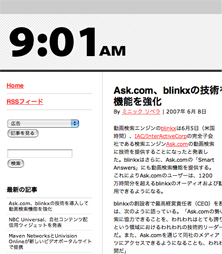 Ioix is humanly translating 901am.com’s important posts into Japanese. 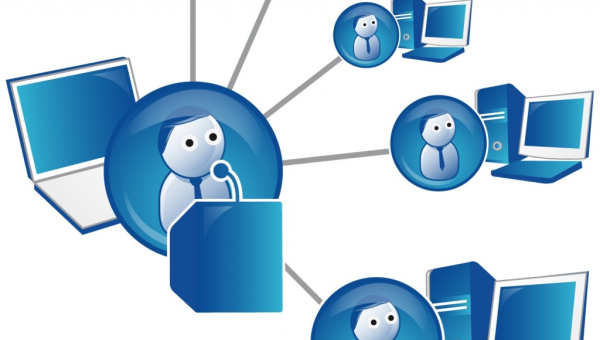 In Technorati’s April 2007 report, Japanese posts accounted for 37% of the posts in blogosphere followed closely by English at 36%. No Pandora for you, like Seinfeld’s “Soup Nazi” character might say. At least, not if you are an international user. That supposedly means anyone outside the United States will be prevented from using the service, due to a certain federal statute. This is of course due to net radio royalty issues. Last.fm is apparently being purchased by Viacom. I’ve not heard anything regarding Pandora. This is very disappointing news as for a long-time music fan like myself, I’ve never come across anything quite as cool/ brilliant in its recommendation functionality. However, despite being in Canada, my IP address sometimes shows as being in the US. This might explain while I can still see the site as of this writing. 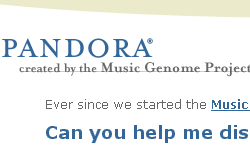 Oddly, I didn’t receive any email from Pandora, though I have received newsletters in the past.